Solid Capture is a commercial screen capture software, it gives you the power to capture everything from multiple full screens down to a single pixel of color. Capture multiple windows, drop-down menus, colors, and even text right from your screen. It costs about $29.95 dollars, but you can get it for free now. Follow steps below you should be have it. 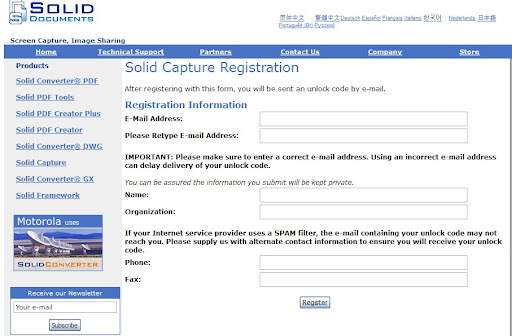 Just go to this page, fill a form like your email address, name and organiztion. You do not have to fill your fax or phone number. Click "register" button. It will send you an email with register code and your personal information. 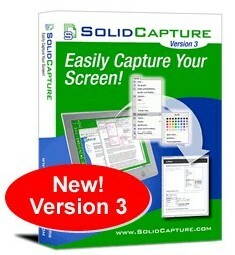 Next is download Solid Capture. Last step is install software and activate it.